These tall pedestals were so dramatic they demanded coverage. Simple enough to qualify as a fixture not a display, they thereby did not stray beyond the mission of Fixtures Close Up. 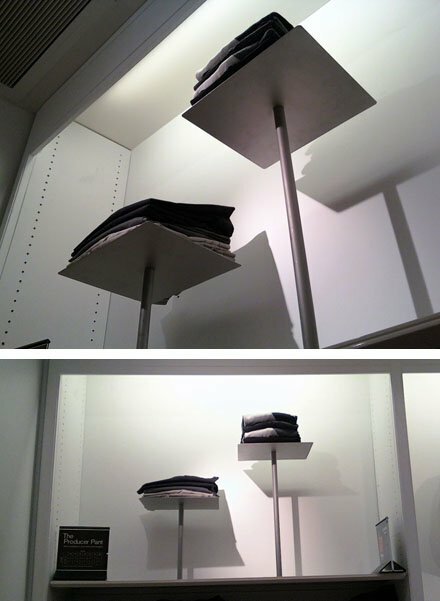 Admittedly one could not truly see the short items items on tall exhibit. But the pedestals made you strive to see them.